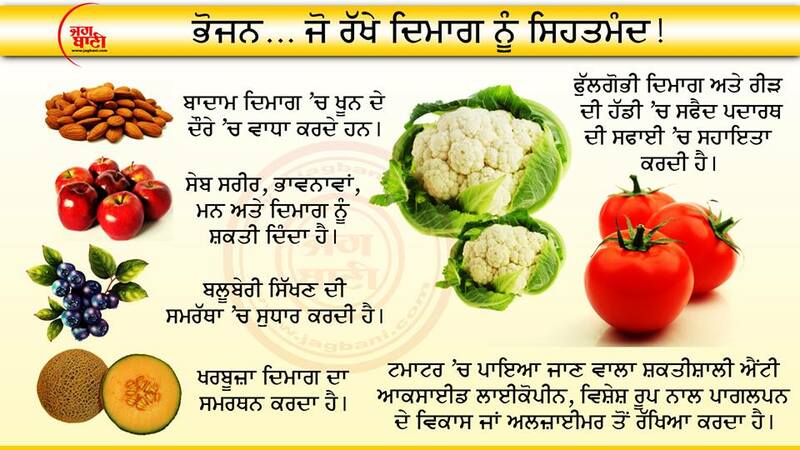 Download Gurmukhi / Punjabi Fonts from here. 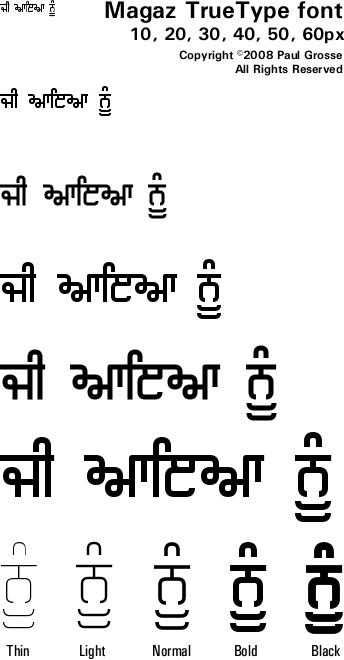 GurbaniAkhar type-faces, (Regular, Light, Slim & Heavy) are a family of Gurmukhi fonts that are optimized for writing text of Sri Guru Granth Sahib in the customary format (i.e. 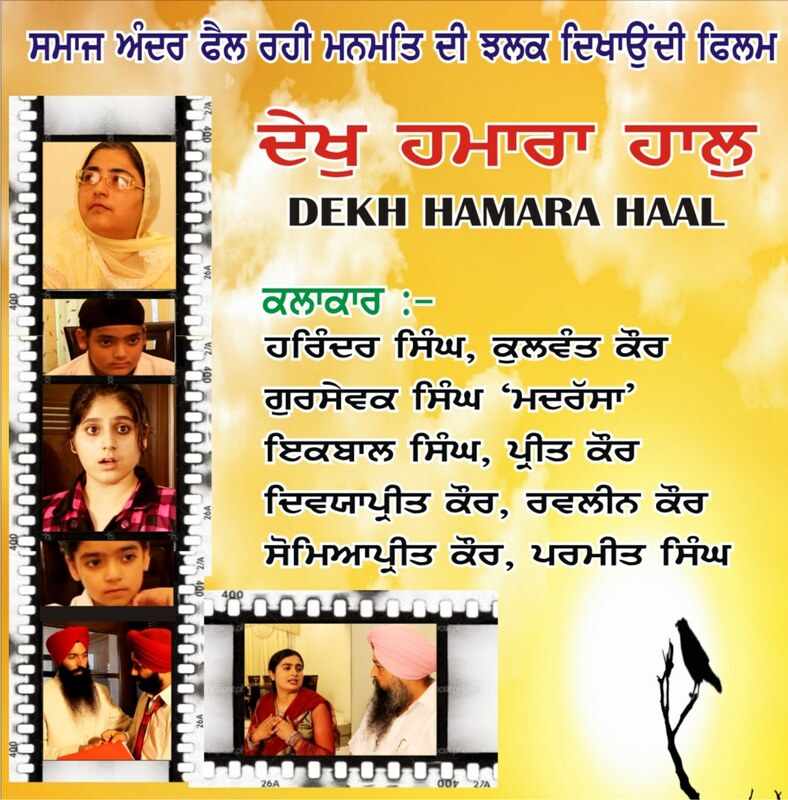 ; these fonts fulfill the requirement of writing 19 lines of Gurbani text per page in the landscape page orientation and with a decent font size). Most characters in these fonts have lesser width than the AnmolLipi or AmrLipi family of type faces. 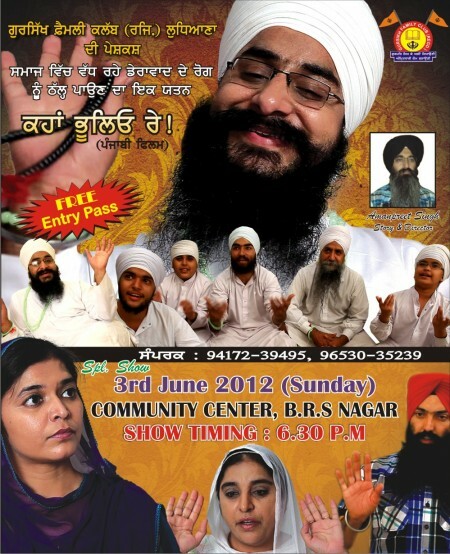 This font family is needed to view the Banis for Download, the SikhNet Daily Hukamnama Email, andShabads for Printing pdf version. Font by Kulbir S. Thind. 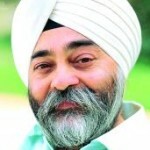 Gurbani Web Thick – This type face will be needed to view the fonts on the SikhiToTheMax search engine. Lanma, the same handwritten style (with the same extended key mappings) but with longer, more decorative tails, primarily designed for use as a display font for use as, say, certificate or book titles or fancy images. Font by Paul Grosse. Raaj, a handwritten style with tails, primarily designed as a display font (for use in titles and so on) – especially the script versions. Each Raaj and Rajaa font is in seven styles: thin, light, normal, bold, black, script-thin and script. Font by Paul Grosse. Raajaa, the same handwritten style (with the same extended key mappings) but without the tails, primarily designed for use in body text. Each Raaj and Rajaa font is in seven styles: thin, light, normal, bold, black, script-thin and script. Using the same key mappings means that you can change the font from Raaj to raajaa without having to re-work any special sequences you have set; Font by Paul Grosse. Magaz, A clean, stylized, legible, font, designed to work down to really small sizes if required but keeping a consistent size and clean appearance as large as you like; The Magaz font is in five weights: thin, light, normal, bold and black. They are fully hinted and because of colour-balancing, the bold font will work at very small pixel sizes (clear at 9 px em size) like so . . . Font by Paul Grosse. Karmic Sanj, A clean, informal, font, designed to be a Gurmukhi mirror for the ComicSansMS font that you see just about everywhere; The Karmic Sanj font has seven weights: thin, light, book, medium, bold, heavy and black.Font by Paul Grosse. Bulara, A clean, legible, font, designed to work as a display font. Comes in various bold styles as well as true, hollow styles which, unlike many other hollow or outline fonts, has endcaps; Font by Paul Grosse. 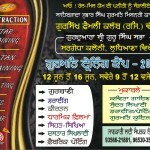 GHW Adhiapak, This is a real-life Gurmukhi handwritten font. It is still highly legible as it keeps largely to the Gurbani style of character production – the sort of style that your teacher would use. However, on the other hand, it turns your machine-produced-looking text into something that a real person would have written, capturing the energy and flow of the writing. 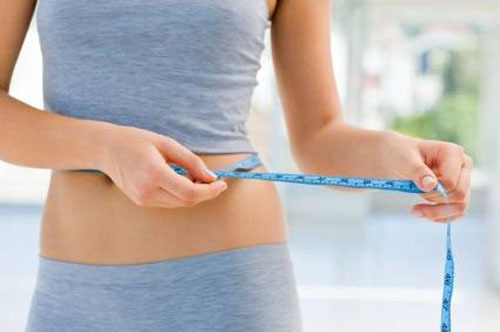 It appears in 9 different weights from Thin to Black. ; Font by Paul Grosse. GHW Dukandar, an informal font, designed to look like Punjabi shorthand, for example the kind of handwriting that a shop keeper (dukandar) in Punjab might use. Comes in regular and bold, marker, and marker bold; Font by Paul Grosse. 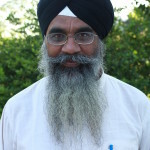 Punjabi Typewriter, A monospaced, font, designed to represent the output of a typewriter. At 10 points, this gives 80 characters across on A4 paper with a reasonable border. Font by Paul Grosse. 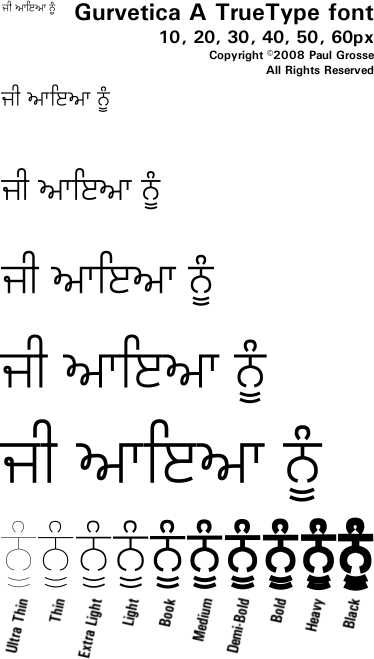 Rupe, Primarily designed as a display font, although it has the legibility of a body text font as well, this highly stylised font takes the efficiency of GHW Dukandar – eliminating any part of a character that does not help to differentiate it from other characters (such as between ਮ and ਸ) but with the overriding requirement that it is still legible with as little effort as possible –and formalises it into a clean, consistent font. Font by Paul Grosse. Gurvetica A, a highly legible font, designed to work extremely well both in display and body text. 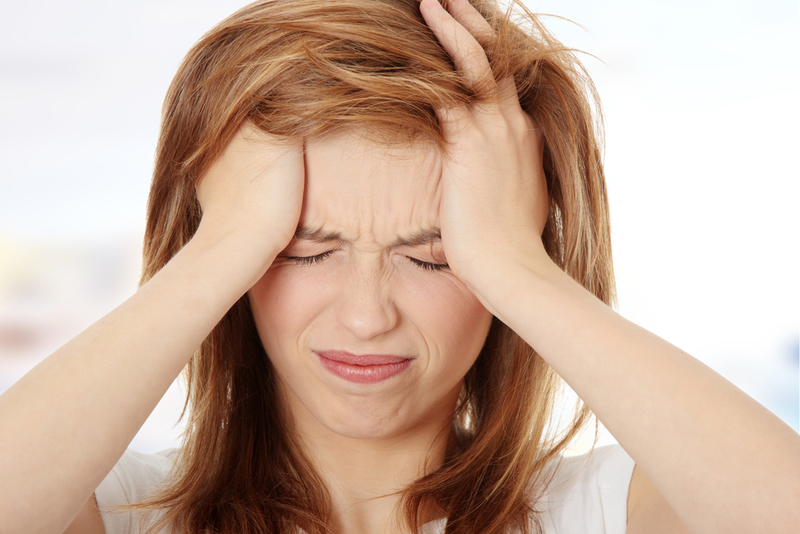 Attention has been paid to differentiating between vowels so that people with less than perfect vision can read smaller point sizes better – thus making reading newspapers, books and leaflets easier to read. Font by Paul Grosse. DOWNLOAD grvta.zip (Windows), DOWNLOAD grvta.tar.bz2 (Unix/Linux)Do I want ‘Gurvetica‘ or ‘Gurvetica A’? 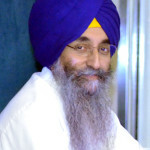 Web Akhar Thick, will be needed to view the online Siri Guru Granth Sahib and Shabads for Printing html version on SikhNet. 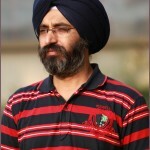 GurbaniHindi, a Hindi font that is optimized for writing Gurbani in Hindi. Font by Kulbir S. Thind. 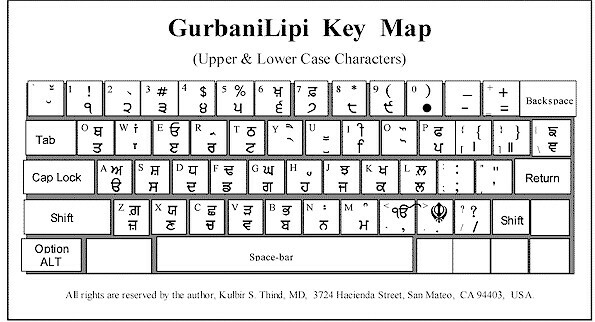 AnmolLipi type-faces, (Regular, Light, Slim, Bold, Thick, Raised, Ubhri, Kalmi) are a family of Gurmukhi fonts with variations in display that are suitable for writing modern Punjabi where international numbers are used as a routine. 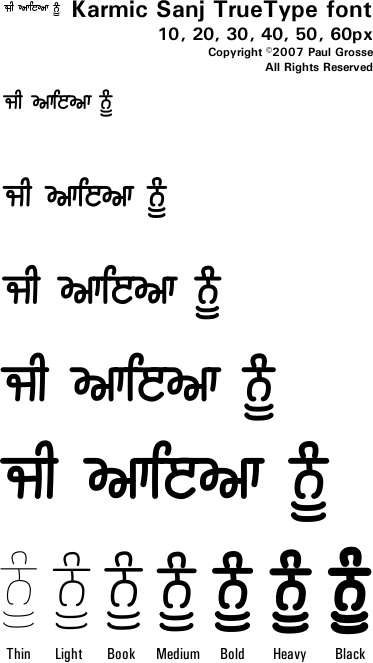 Classic Gurmukhi number characters are also included as symbols. Font by Kulbir S. Thind. 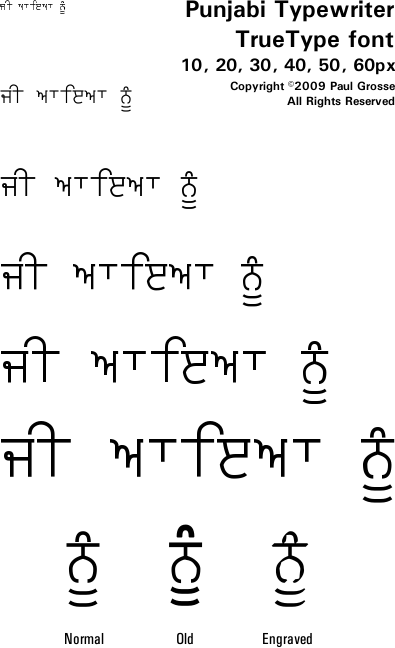 AmrLipi type-faces, (AmrLipi, AmrLipiLight, AmrLipiSlim) are a family of Gurmukhi fonts with variations in display that are suitable for writing Punjabi where classic Gurmukhi numbers are used as a routine. Font by Kulbir S. Thind. GurbaniLipi & GurbaniLipiLight, along with their bold versions are a family of Gurmukhi fonts with variations in thickness that are optimized for writing text of Shree Guru Granth Sahib in the customary format. Font by Kulbir S. Thind.